As a woman nears the end of her reproductive years, her estrogen levels decrease, more often than not causing a host of unpleasant symptoms, such as hot flashes, night sweats, vaginal dryness, disrupted sleep, moodiness, and headaches. Hormone replacement therapy (HRT) can ease or eliminate symptoms, but this treatment option has been shown to have risks and side effects of its own. As a result, many women are looking to dietary and botanical supplements to help ease their menopausal transition. According to the American College of Obstetricians and Gynecologists, as many as 75% of all women will experience hot flashes, the most common symptom of menopause. The National Institutes of Health’s consensus statement on menopause reports that, from the start of hormonal changes, up to 80% of women will experience vasomotor symptoms such as hot flashes and night sweats, up to 39% will have vaginal dryness, up to 60% will have sleep disturbances, 38% will describe mood changes, and up to 39% of women will experience urinary symptoms. Since the potential HRT risks came to light, many women have turned to diet and supplements in an attempt to control their menopausal symptoms. According to the Natural Medicines Comprehensive Database, three of the top 10 best-selling herbal products in the United States commonly are used for addressing menopausal symptoms. Some supplements do show promise for treating menopausal symptoms, but consumers should be aware of the lack of conclusive scientific evidence and the cautions that go along with these products. Below is a brief discussion of some of the most common botanical dietary supplements for menopausal symptom relief. • Soy isoflavone extracts: Isoflavones are phytoestrogens, or plant chemicals that bind to estrogen receptors, acting as weak estrogens in the body when endogenous levels are low. It’s thought that taking these plant estrogens in supplement form could help balance a woman’s decreasing estrogen level during menopause. According to the Natural Medicines Comprehensive Database, soy extracts providing 35 to 120 mg of isoflavones daily seem to be beneficial for decreasing the frequency and severity of hot flashes. Products that provide at least 15 mg of the genistein isoflavone per day have the best outcomes. • Black cohosh: Black cohosh (Actaea racemosa) is promoted to help alleviate hot flashes, vaginal dryness, itching, moodiness, and depression. Anecdotal evidence indicates that many women find at least some relief when taking this supplement. While study results have been mixed and no long-term studies have been conducted, there’s some evidence of effectiveness, particularly with regard to hot flashes. Side effects include stomach discomfort and headaches. Several recent reports of liver damage in women taking black cohosh have lead to the recommendation that users should consider periodic liver function tests. • Red clover: While a 2002 study showed a 44% decrease in hot flashes when taking 80 mg of a red clover (Trifolium pratense) isoflavone dietary supplement (Promensil) compared with placebo, the National Center for Complementary and Alternative Medicine reported that a review of all existing evidence indicates red clover has no significant beneficial effects on menopausal symptoms. • Dong quai: Dong quai (Angelica sinensis) has been used to treat gynecological conditions in traditional Chinese medicine for more than 1,200 years.4 The only clinical trial conducted to date showed no impact on hot flashes. While data regarding the effectiveness of phytoestrogen extracts and other botanical supplements for treating menopausal symptoms are limited and largely inconclusive, science does demonstrate ways in which diet can help improve women’s health in the postmenopausal years. A diet based on fruits, vegetables, whole grains, low-fat dairy products, lean meats, poultry, fish, beans, nuts, and seeds helps with weight management and provides plenty of the nutrients recommended to keep the cardiovascular system, bones, and brain healthy. It also includes lots of phytoestrogen-rich food sources to help ease the discomfort of those waning estrogen levels. Soy and flaxseeds are two phytoestrogen powerhouse foods. Multiple studies have shown that consuming 20 to 60 g/day of soy protein modestly decreases the frequency and severity of hot flashes.3 “Soy is a great postmenopause protein source, not only because of its high isoflavone content, but also because it’s low in saturated fat,” Salge Blake says. Soy’s omega-3 fatty acid content adds to its heart-healthy profile. There also is evidence that 40 g (4 T) per day of dietary flaxseeds significantly improves mild menopausal symptoms such as hot flashes. Flaxseeds are high in omega-3 fatty acids, so women should be careful to consume flaxseeds instead of other dietary fats to avoid weight gain and shouldn’t consume large amounts of flaxseeds while taking blood thinners. There are some concerns about phytoestrogen consumption by women with a personal or family history of breast cancer but, while supplements may present a cancer risk, modest amounts eaten as part of a healthful, balanced diet appear to be safe.3 Additionally, what women don’t eat may be as important as what they do. Caffeine, spices, and alcohol are known triggers of hot flashes. — Judith C. Thalheimer, RD, LDN, is a freelance nutrition writer and community educator living outside Philadelphia. 1. National Heart, Lung, and Blood Institute. Facts About Menopausal Hormone Therapy. Washington, DC: National Institutes of Health; 2002. NIH Publication 05-5200. 2. NIH State-of-the-Science Conference Statement on management of menopause-related symptoms. NIH Consens State Sci Statements. 2005;22(1):1-38. 3. Natural medicines in the clinical management of menopausal symptoms. Natural Medicines Comprehensive Database website. http://naturaldatabase.therapeuticresearch.com/ce/ceCourse.aspx?s=ND&cs=&pc=12-110&cec=1&pm=5. Updated August 22, 2013. Accessed July 30, 2013. 4. Natural remedies for hot flashes. The North American Menopause Society website. http://www.menopause.org/for-women/menopauseflashes/natural-remedies-for-hot-flashes. Accessed August 4, 2013. 5. Low Dog T. Menopause: a review of botanical dietary supplements. Am J Med. 2005;118(Suppl 12B):98-108. 6. Phytoestrogens and breast cancer fact sheet. Cornell University Program on Breast Cancer and Environmental Risk Factors website. 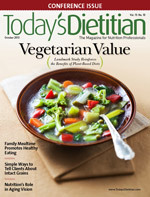 http://envirocancer.cornell.edu/factsheet/diet/fs1.phyto.cfm. Updated July 2001. Accessed August 5, 2013.